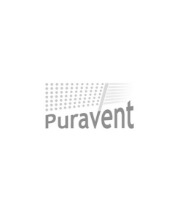 Updates and news about Puravents range of air conditioners, chillers, air handling units and evaporative cooling systems. Effective office cooling with natural ventilation and a wall mounted oscillating fan….Genius! Some simple steps for cooling a room. Here are short pointers to guide you on efficiently to cooling a room and using the right equipment for your application. Cross ventilation can go a long way. Let air into a room through an “inlet” window or doorway, open internal doors and finally let the air escape out via “outlet” window and doors. Logically placed windows, doors, and fans significantly aid in regulating airflow through a room. Also placing a fan in front of an inlet window or a fan facing outward of an outlet window is a great way to help move cooler outside air through your room. A concept which naturally seems counter-intuitive compared to a fan placed in busy zones, can actually prove to be more effective. Opening windows at night creates a cooler house during the day. Depending on your climate zone, temperatures significantly drop at night-time which creates a natural opportunity of which to take advantage. Curtains and blinds. Blocking heat rays through shutters or curtains is an often overlooked. It can help to keep the sun and heat out of the room and the cool air in. If you are using air conditioning close off rooms you’re not using. The less air to cool the better. But if you are not using air conditioning then actually you might need to open internal doors to allow the passage of air through open windows on different sides of the building. Destratification fans are a low-cost and money-saving alternative. Thermal stratification is perhaps the single biggest waste of energy in buildings today in the heating season. And in the cooling season destratification fans can help by mixing and moving internal air in a building. Using a destratification fan in conjunction with open windows aids in regulating an optimum airflow throughout the room. Find the right size air conditioning unit for your application. Bigger is not always better! You run the risk of damaging your unit through ‘short-cycling’ and on the other hand a unit too small for the application will run the risk of loosing effectiveness because it is working so hard that the condensate on the cooling coil freezes preventing the passage of air through the coil. Keep the AC thermostat at a reasonable set temperature between 19° to 22°C which will not only help conserve energy, but will work to cool a room a lot more efficiently than at a lower temperature. Keep your unit up to scratch. Checking filters and coils can ensure your unit is working to its optimum output. Remember to turn the unit off when the ambient temperature becomes more bearable. Running it constantly not only costs more in terms of energy but will also shorten the life of the unit. Keep the thermostat away from appliances such as TVs or computers as it will pick up their heat radiation and keep the unit running longer than necessary. If you have any further questions about cooling a room, feel free to contact our UK office for further information on 0845 6880112 or visit us on our website. There have been various attempts over the years to provide the market with an installed monoblock wall mounted air conditioner range which not only looks good but also performs quietly, effectively and efficiently. Over the last few years a number of brands have appeared with promise but then fade from the market. During this period the Unico wall mounted air conditioners have always been there and they have steadily improved over the years. The need for wall mounted air conditioner ranges came into sharp focus as the old style ‘window’ air conditioners which were the standard easy install cooling fix for small applications fell foul of European efficiency regulations. It was never an ideal replacement as the wall mounted air conditioner was usually more expensive and less powerful than the window air conditioners. But as the old style machines faded from the market the Unico wall mounted air conditioner range got better and became more cost-effective. There are now 14 different models in the range with outputs from 1.8kw (6143 BTU) to 3.1kw (10580 BTU). Some have inverters which provide for greater efficiency and variety of running speeds, some have heat pumps to provide cost-effective heating in cooler months. What they all share is A rated energy efficiency rating and great aesthetic design. Installation is easy because the complete cooling system is contained within the machine, so that the only link to outside is via two holes though the external wall upon which the unit is mounted. The two holes are core drilled according to a marking/drilling template and then lined with ducts which then have small circular louvers fitted to the outside end of the holes. The whole installation can be completed from inside the building thus enabling easy installation even on floor levels above the ground floor without the worry of scaffolding. The great advantage of these type of machines is that because the is no external unit they can usually be installed without planning permission, even on quite sensitive areas. Unobtrusive on the outside. Only 2 small louvered vents outside and a condensate drain pipe to give it away. When it comes to sourcing an industrial evaporative cooler, there is quite a lot of choice. And there is now a little bit more choice. But there is another way of evaporative cooling and that is exactly what the Met Mann EC18 range shows. With an all plastic moulded construction to contain the evaporative cooling pads and internals, it looks very different to the AD ranges and is based on the idea that if you need say 78000m3/hr of cool supply air then divide it by the maximum flow from an EC18, 16000m3/hr and round up the number. In this simple example you would need five EC18 evaporative coolers to achieve the requirement. The inevitable conclusion is that the EC18 is not so much a range of evaporative coolers but a building block in a ‘one size fits all’ approach to evaporative cooling. This is all very well, but it only works if the ‘building blocks’, the EC18, is a particularly cost-effective unit (which it is), and if the application can stand numerous little evaporative coolers instead of perhaps fewer large ones. Assuming that costs are OK and that the EC18 is right for the application, then what of the evaporative cooler itself? With a moulded plastic casing, it looks identical to all the other models of this type by other manufacturers, which is no bad thing – it at least follows a proven concept. On each of the 4 sides there is a removable inlet screen with the celdec evaporative cooler pad behind. The heart of the matter. An EC18 evaporative cooler with a side panel removed and the cover off the units’ electrics. The removal of a side or two provides good access to the internals, where the heart of the matter is an axial fan. Perhaps this is the weak link in this evaporative cooler. The axial fan will have enough pressure capability to be able to pull air through the wetted celdec pads and out through a suitably sized diffuser, but don’t count on being able to blow air through a reasonable length of internal ductwork – it will run out of puff and might need an additional fan inline to achieve the ducted distance required. But a useful feature on the EC18 is that its’ control is via a neat remote control unit, from which you can preset temperature and humidity thresholds and fan speed then let the evaporative cooler do the rest. As with any other evaporative cooler of this type, it is always preferable to have either a top or base discharge model. By having a side discharge unit, one of the evaporative cooler side panels is sacrificed in order to allow for a fan which slightly impairs the cooling performance. Installation on a base frame makes inspection and maintenance easier. This top discharge EC18 evaporative cooler has ducting attached to put air in to the building above the ‘occupied’ level so that cool air can be directed downwards towards occupants. The warm air is thus displaced upwards and is pushed out through roof vents. We recommend that the EC18 is used with a base frame so that the unit is lifted clear of the ground level. This type of arrangement makes for much easier inspection and maintenance, and allows for clear and obvious drainage from the cooler. • If you need cooler air in your factory, then we can provide all the evaporative coolers, ancilleries the help that you need. • For a video about evaporative cooling …. With a tad of winter still in the air we are already looking forward to moving from the ‘cold’ season to the ‘cooling’ season. Some interesting products fill the range this year with one or two new comers and several of the old campaigners revised for the coming season. As was the case last year, head of pack on all fronts in mobile cooling is Broughton with the Mighty Cool range of industrial air conditioners and evaporative coolers, but there is stiff competition from other machines in particular segments. Although the MCM230 is a run away champ for value for 23000BTU, the obvious choice at 25000 BTU is the Fral Blizzard and on the larger sizes 28000, and 35000 BTU cooling capacity, the MCM range has no competition. At the 25000BTU level the MCWS250 offers good value and is only slightly more expensive that the marginally less powerful avalanche. Although it may appear expensive for 15400BTU capacity the Portatemp 4500w is well featured and is a winner if you need to get to very cold temperatures. The EH1413 is included with the water-cooled, metal cased units for now other reason that it would otherwise be in a category of its own. Although the EH1413 is not particularly costly, it is severely limited in comparison to the others by having short, permanently connected lines with refrigerant rather than water. It is a strange comparison. We have an 8000 m3/hr evaporative cooler at only £318, which would make you ask why is it so much lower in price than the others. The simple answer is quality of components. You can be certain that the lower priced machine is not a long-term prospect compared the others. On the other hand with the Fresc Mann machines (we have only shown 3 here but there are several others) you have good quality components, very high cooling efficiency, ready availability of spares should you ever need them, and great functionality including a rotatable discharge diffuser. The Comcool is at the very tough end of the spectrum, made in tough steel throughout and with tough controls, the Comcool is in it for the long haul. A topical subject. The mercury is expected to be into the 30s today and there are several days of hot humid weather ahead. The hard truth is that the stocks of air conditioners, fans and evaporative coolers that have been in stock for many months up and down the country will disappear before the ice cream melts. So if you are feeling a little hot and bothered and suddenly think I will just see if I can get an air conditioner for the office, then be prepared for a desperate scrabble for the last machines as many thousands of other people have the same notion at the same moment. 1. It is all about speed. Buy fast and now. Dont wait for tomorrow or the day after. It will be too late. 2. Don’t mess about comparing prices trying to get the machine that is a couple of £ cheaper than another or to get the machine that is £5 cheaper from one supplier compared to the others. In a heat wave, by the time you have spent time finding that special bargain, the special bargain will be sold out, if you then go for the next cheapest… guess what? By the time you try to buy that machine, it will be miraculously out of stock as well. The internet market place ensures that there is uniformity of value for air conditioners, fans and evaporative coolers. There of course will be small variations in pricing, and maybe free delivery or perhaps not. These small variations are nothing compared to actually getting an air conditioner or not. Get a feel for the cost of a a suitable air conditioner, evaporative cooler or fan and then just go with a reasonable price offer, rather than following the masses and pursuing the cheapest. 3. Avoid the ‘shouty’ internet suppliers. The loudest sellers of the cheapest machines in a heat wave will be the most stressed, because every one is trying to buy from them. So guess what? The sellers of the cheapest machines will be the first ones to experience their customer service being overloaded and having a melt down. Mixed up orders, disappearing stock, dispatch overloaded, delivery expectations dashed, customer complaints, and orders continuing to land for air conditioners, fans and evaporative coolers that are no longer in stock. 4. Always check stock by phone before buying. During heat waves stock levels change very, very fast and often things that are shown as in stock on a website have already disappeared. 5. If on the phone the supplier says there is stock, place your order by phone then and there. 6. Having placed your order keep your fingers crossed that the air conditioner, fan or evaporative coolers are delivered as planned, because if it does not then the chances are that by the time the delivery issue has been resolved there will either be no other machine left to send out as a replacement or the heat wave will finished. When buying an air conditioner, fan or evaporative cooler before a heat wave then none of the above top tips is relevent. Normal purchasing methods are recommended. Wall Mounted Fans – still plenty in stock. Have a look. Misting fans have been a hit or miss affair in the UK, and because of the risk of being left with lots of stock at the end of the summer, importers have in recent years been cautious about bringing them into stock. The good news though is that the 600MF misting fan that we have been supplying for the last 2-3 years is returning to stock from the middle of June. The bad news is that the stock is going to be quite limited and if there is a blip in the mercury, they are likely to be sold out almost before they arrive. In case you have not come across these machines, here is the brief. For outside environments, eg. country fairs, theme parks, sports events, or any occasion or place where there is a likelihood of people being outside in the blistering hot sun, these are the machines to have. They provide surprisingly effective cooling by spraying a mist onto the airflow from the fan. The moving air is cooled as the water droplets evaporate. If you are in the horticulture trade and have greenhouses, greenhouse cooling fans could significantly reduce your business operating costs. But there are different types of greenhouse cooling fans. The traditional axial type fans just blow air horizontally along the greenhouse. Here is an introduction, by way of a story, into a completely new method of greenhouse cooling where there are far more benefits than just cooling. This is the story of a Puravent customer who wanted some greenhouse cooling fans. We supplied some destratification fans to a garden centre and nursery operation near Bradford. The initial enquiry came quite out of the blue and it transpired that our customer had brought a large 2nd hand greenhouse and was planning to dismantle, move and rebuild it at their nursery. Strangely, from our point of view, they were after destratification fans, not for their well understood impact lowering heating costs of the greenhouse, nor particularly for cooling, but mainly for the air movement pattern. Their idea was to get air movement through the soft leaves of bedding plants to prevent the lower leaves from rotting and to reduce plant losses. We reckoned that for this type of application the best type of fan would be a ‘helecentrifugal’ destratification fan. Not only is this a bit of a mouthful it is also a type of fan that works in a completely different way to a normal destratification fan…..
Helecentrifugal destratification fans pull air from above and underneath the fan and discharge it radially to the sides. We thought that the up current from the floor level to the fan would be good to get air through the leaves, so anyway we finished up supplying 8 of these fans. Greenhouse cooling fans – but this is all about destratification fans ! What happened? You may well ask! The 1st thing that happened was after delivering the fans, we completely forgot all about it. At least that was until we got a phone call from our customer 6 months later. We work on the basis that ‘no news’ from a customer is ‘good news’, so our initial thought about this phone call was that maybe one of the fans has stopped working. With roof vents and doors open these destratification fans change the air at a high rate, and the cooling effect is very evident. With roof vents open the helecentrifugal fans bring in masses of fresh air through the vents and the over pressure (relatively warmer air) is expelled though open doors and vents to outside. “Whow” says us, “can we come and have a look?” We did visit on a warm spring day and it was quite extraordinary. The greenhouse with the fans is adjacent to another greenhouse without fans and as we walked from one to the other what hit us is the change in temperature. From hot muggy uncomfortable greenhouse to pleasant fresh greenhouse. 2 out of the 8 destratification fans supplied, in operation with the greenhouse roof vents open and pulling in huge quantities of cool fresh air. Looking closely at the bedding plants being grown in pots and elevated on mesh platforms each one had moving leaves. As air current moves through the mesh it makes the foliage on each plant gently flutter. Our host is adamant that this airflow and fluttering is vital for growing stronger plants than would otherwise be the case, and keeps plant pathogens and rot at bay. If any of this makes any sense and is of further interest, don’t hesitate to email or call us on 01729 824108. You can have a gander at the fans on our website and/or read up on destratification with our online destratification guide. Had an enquiry the other day. “We need evaporative coolers”, they said, “about 3 of them”. Our enquirer, it seemed, had made his choice. Now choosing evaporative cooling was mearly a matter of picking a size and colour, or so it seemed. From a promising start it soon became apparent that this was not a suitable application for evaporative coolers. The building was a reasonable size and was in fact a venue, used for weddings and the like. With a relatively low ceiling and stuffed with people in fancy hats eating wedding cake, there is going to be a requirement for considerable cooling on a warm day. The trouble is that for this application the volume of air that would be required to cool the room and its occupants would be very high relative to its ceiling height. The air movement that would result from introducing the cool airflow would be more than a nuisance – the serviettes would be flying all over the place, and… there goes the best mans speech! In a different environment and with higher ceilings the story would be quite different. For industrial applications with lower occupation levels and where staff are working and would welcome any breeze but particularly a cool one, the cool air movement introduced by evaporative coolers is a bonus not a nuisance. Going back to this application, we could put in fewer evaporative coolers and duct the air to more diffusers to avoid drafts. The problem here is that the quantity of cooling delivered on this draft free air would not be sufficient for fulfil the main objective – cooling. Moreover, such an installation would only serve to give evaporative coolers a bad name. Wedding guests would be perhaps more inclined to spread bad news about the venue and its cooling rather than good news. A better solution – how about chiller modules and some fan coils? Heating and cooling capability from one system and no ruffled hat feathers. Being specialist suppliers of several different cooling technologies, allows us to approach enquiries without a technological bias. Here was a case in point.